New Orleans Archbishop Gregory M. Aymond is pictured in a 2017 photo. After reviewing more than 2,400 clergy files dating back nearly 70 years, the Archdiocese of New Orleans released the names of 55 priests and two deacons who had been removed from ministry for accusations of sexual abuse of a minor. (CNS photo/Bob Roller) Nov. 5, 2018. NEW ORLEANS (CNS) — After reviewing more than 2,400 clergy files dating back nearly 70 years, the Archdiocese of New Orleans released the names of 55 priests and two deacons who had been removed from ministry for accusations of sexual abuse of a minor. “This day is about the healing of victims,” Archbishop Gregory M. Aymond said in releasing the names Nov. 2. Admitting he wrestled with the voluntary decision to release the names because he feared the list might not be accurate or complete, Archbishop Aymond said it was the right thing to do as a step toward healing the pain of victims, those who are known and those whom he urged to come forward if they have not already done so. “I believe it is the right thing to do in order to foster the healing of victims, in a spirit of transparency and in the pursuit of justice,” Archbishop Aymond said in a statement to the people of the archdiocese. Quoting Jesus’ words in John 8:32 — “The truth will set you free” — Archbishop Aymond asked forgiveness of victims. Archbishop Aymond said a team of more than 10 women and men, including staff members and outside legal professionals, examined the personnel files of 2,432 priests who have served in the archdiocese since 1950. If a priest was accused after his death of sexually abusing a minor, making a defense of that claim extremely difficult, “additional people reviewed the file to ensure accuracy to the extent that is possible after death,” the archbishop said. The names of the 57 priests and deacons removed from ministry of sexual abuse were given to the Orleans Parish District Attorney’s Office. This “parish” is a civil jurisdiction. The archdiocese has agreed to allow authorities in other civil parishes to examine the personnel files upon request. 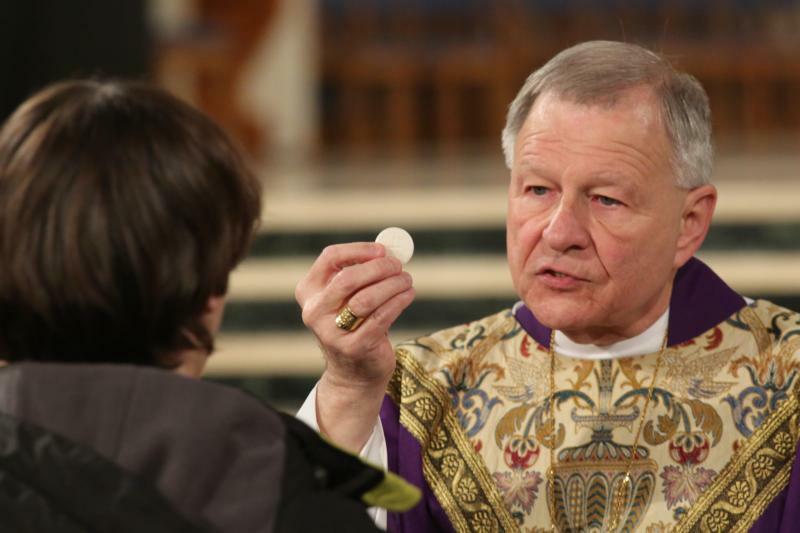 The archbishop said the safeguards instituted in 2002 by the U.S. bishops’ “Charter for the Protection of Children and Young People” have helped the church “significantly” reduce the incidence of sexual abuse. “As we know, one case of sexual abuse is one too many,” Archbishop Aymond said. Citing the 2017 annual report on the implementation of the charter, the archbishop said in the United States over the last two years, there have been eight substantiated claims of sexual abuse against priests, which represents .025 percent of the country’s 33,917 priests. Of the 55 priests named, 27 were diocesan priests of the Archdiocese of New Orleans and three were priests from other dioceses who served in New Orleans; and the remaining 25 priests belonged to religious orders who served in New Orleans. The two deacons named were ordained for the archdiocese. Archbishop Aymond said the team that reviewed the archdiocesan files had done its “very best to make this report as accurate and complete as possible,” and he urged anyone who has questions about why a name was not on the list to come forward by contacting the archdiocesan victims assistance coordinator, Marist Brother Stephen Synan.